Registration is closed. See the teams and draw tab. 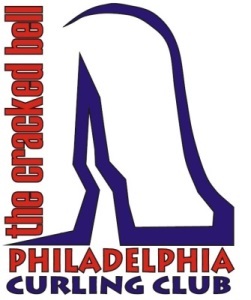 Visiting teams (2 or more players who are not members of Philadelphia Curling Club) will be accepted in order of the timestamp of their online registration. Once paid, the first 10 will be in the bonspiel. Additional teams will be put on a waiting list. Local teams will be accepted until registration closes, then entered in a lottery to draw the number of teams needed to fill the 16-team draw. Please Note: Registrations are automatically time-stamped upon submission, but are not complete until payment is received. Online payments are accepted via PayPal and are immediate. Checks received within one week of registration date are equivalent to online payments. Local teams are encouraged to pay by check in case refunds are necessary. Visiting Players: For your convenience, you can download, print, and complete the required Release Form (PDF) in advance, and bring it with you to the club. We need one completed form per player. Recomended Hotels: There are several nearby hotels that provide special rates for those attending events at the Philadelphia Curling Club.